The cryptocurrency boom of 2017 has brought billions of dollars into the blockchain space, fueling a new wave of technological innovation. Due to the high cost of building and maintaining mining rigs, cryptojacking–the practice of hijacking computer resources in order to mine cryptocurrencies–has become a popular tactic for expanding cryptocurrency mining operations. In the past year, software designed for cryptojacking has proliferated, targeting almost every kind of networked computing device including cellphones, IoT devices, personal computers, and corporate networks and servers. 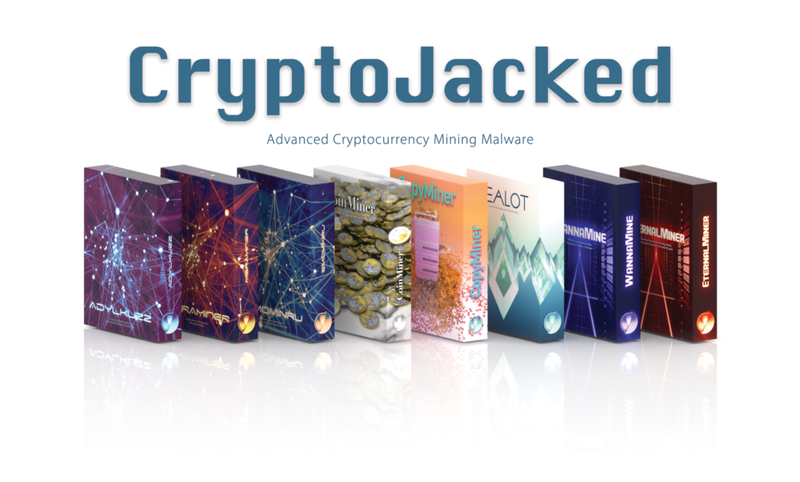 Open Vault’s CryptoJacked collections features the most advanced tools for mining cryptocurrencies developed in the wake of The Shadow Brokers’ leak of NSA attributed exploits. These tools represent the most innovative applications of government sponsored cyber weapons in the blockchain space.